The old adage “Bad things happen to good people” is all too real. In a single moment, everything you’ve worked for all of your life to achieve can be lost due to an act of unintended negligence. The litigious (sue happy) nature of our country is both sad and a threat to you livelihood. If you have any substantial asset accumulation (the accumulation of home equity, personal property, precious metals, cash, bonds, etc), all of it, all of it can be lost in a single moment. As painful as it is, imagine if your 16-year old child were to severely injure another due to DUI, or more likely, texting while driving. Quite frankly, the proliferation of smart phones might even find you distracted from time to time while driving. What if you accidentally ran over a skier with your boat? What if your unannounced electric fence for your pet shorted out a visitor’s pacemaker? These are but three examples of events that repeatedly occur in the U.S. every year and earn judgments against homeowners far above their liability limits of their homeowner’s insurance policy. Which means quite simply, everything that owner worked for all his life is lost in a single moment. A personal umbrella insurance policy provides you additional liability insurance coverage over the limits of your Auto, Homeowners, RV, or boat liability policy limits. It covers you for unknowns or unexpected exposures not covered by your current insurance policies. It will cover legal costs, including legal representation by your insurance companies legal staff, pay court costs, interest on judgments, and the premiums on necessary bonds. Sad to say we are a sue-happy nation. And again, bad things happen to good people. Good people (and smart people) take the specific action to protect everything they’ve worked so hard for by securing personal umbrella insurance policies. 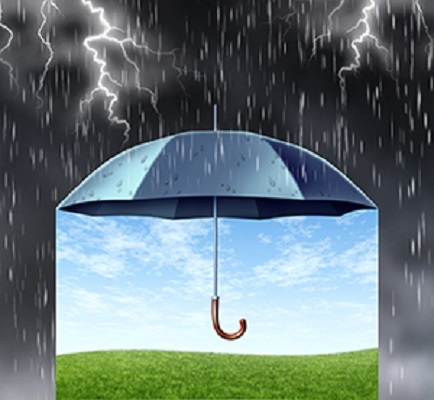 Personal Umbrella insurance is quite frankly one of the smartest and most valued purchases that any homeowner will ever make. Your friends and neighbors at Tristate stand ready to go to work for you. Submit a request for an immediate personal umbrella insurance quote. Also, we invite you to call us anytime for a no obligation insurance consult.